Pre-req. : Equivalence to four semesters of German or by instructor’s approval. At Denison, German 302 is a designated course number for special topics courses with changing content; can be repeated for credit for the German minor and major. German is a key language in the European Union and the new economies of Central and Eastern Europe. German is spoken by more than 120 million people in Austria, Germany, Liechtenstein, Luxembourg, Switzerland and in parts of Belgium, Northern Italy and Eastern France. German-based companies and businesses can be found across the globe, whereas many international companies call Germany their home. In this global market, to be able to speak German is essential for those who wish to build a career in a German-speaking country or with a German-based company in their home country. It is increasingly important for today’s students to understand and appreciate the intrinsic connection between language study, cultural understanding, global citizenship, and good business practices in a globalized economy. This course introduces students to the language and culture of business German. Topics we will cover include Germany’s federal states, Germany in the EU, multicultural Germany, Germany’s social system, industry and money economy, high tech, environment, taxes, and consumer power. Students will build their vocabulary with a special focus on terms and phrases useful in the workplace, in talking about statistics , in discussing current affairs and in presenting the “pros and cons” of an issue. Students will also hone their writing and speaking skills in the process of learning practical skills such as writing job applications and business correspondence, practice phone and email etiquette, and learn to read and interpret bureaucratic German. Furthermore, in today’s global business market it is essential for successful employees to have the ability to work virtually as well as collaborate effectively in team-based projects. Due to the virtually interactive nature of this course, students will learn and practice enhanced digital communication and collaboration skills for the professional local and global business environment. A unique feature of this course is that students will have the opportunity to connect with German business leaders in Germany and German-based companies in the US. 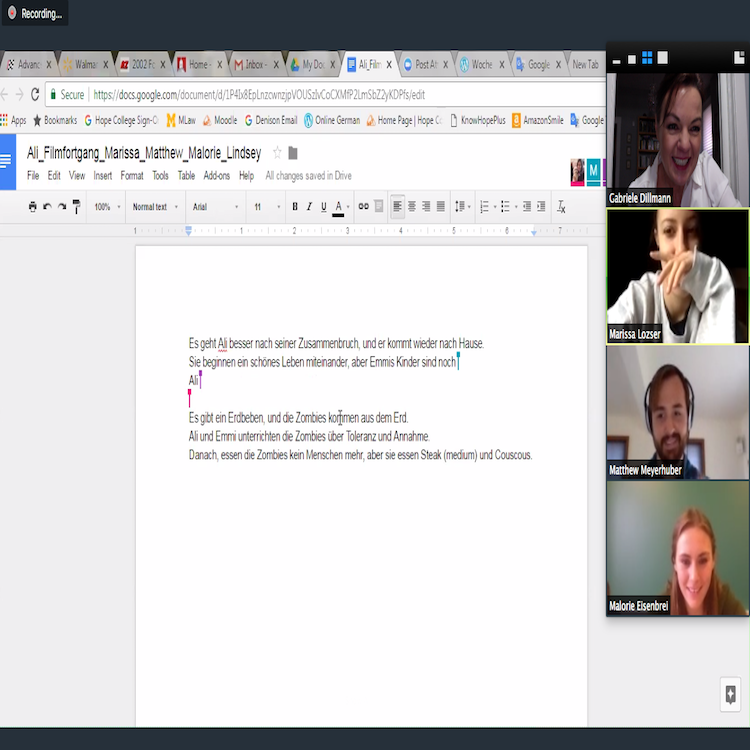 Students will engage with German speakers from different business backgrounds in real-life scenarios via video-conferencing during several of the class sessions. This course is also a globally connected course in partnership with the American University in Bulgaria. 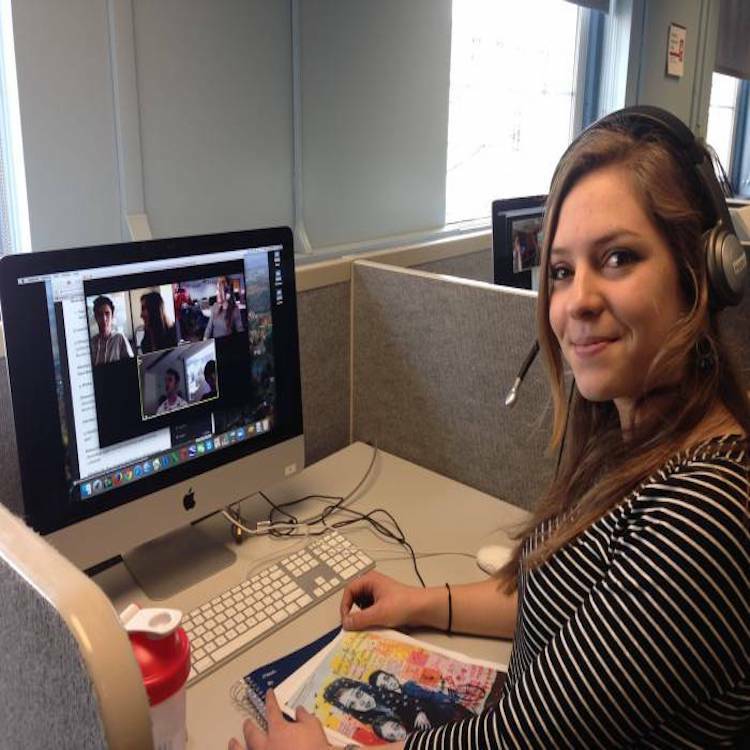 Class meets in a virtually interactive environment online via the video-conferencing platform Zoom. The course will include students of German across our GLCA partner institutions.